Expatriate in KL: 2 Years in Malaysia & Hopefully Another Happy New Year! 2 Years in Malaysia & Hopefully Another Happy New Year! Tweet December 2008 marks our 2nd year of living in Malaysia. Time flies. I haven't had time to update my post (way overdue). Why? Simply because I was enjoying life so much! There were too many places to go, too many experiences to have, too many people to meet, and too many things to do! Now, I look back in the 2-years stay ... all I can say is no regrets moving here! Life is great in Kuala Lumpur. And even made greater this 2nd year -- because now we have new friends, we have our own home, we have our routine and favorite places, and a lifestyle I am contented with. In the year 2008, we have moved to a new apartment which we own (property prices are great in Malaysia!). I feel that the prices are undervalued as compared to neighboring South East Asian countries. Foreigners are allowed to purchase properties, and just to let you know: it takes at least 6-months of "processing" which includes paperwork, approvals & bank approval. Overall, it was an okay experience... thanks to finding a good real estate agent, an effective bank agent, a good lawyer & a friend-interior designer. We moved into our new place last March 2008. After moving, we bought a new car so that we can go to work separately. Interest rates in Malaysia for both cars & properties are quite interesting! (I'm comparing this to Manila). While we are in the subject of cars ... petrol prices are quite interesting over here in Malaysia. Filipinos & French people can attest that petrol (gas) prices are affordable compared to their home countries! Despite the price adjustment of petrol -- Malaysia is still cheaper than Philippines & France. The year 2008 was also lots of travelling for me & hubby! Malaysia is a place which one should take advantage of for low-cost flights... it's so convenient to visit different places! Other expat friends have certainly been taking advantage of this benefit ... especially expat friends who are here on 2-year contracts. As for me and hubby... well, we have certainly travelled quite extensively this year. 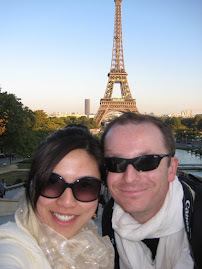 2008 brought us to Paris, South of France, Venice, Bellagio, Turin, Los Angeles, Las Vegas, New York, Atlanta, Krabi, Siem Reap, Manila... Not counting yet the various Malaysian adventures we've had as we explored this beautiful country! When I was first told that I would be moving to Malaysia 2-years back, I was apprehensive. Now, I thank God for bringing me here! I'm hoping 2009 will be another wonderful year -- here in Malaysia! Great blog. :) I came across it via expat-blog. Sounds like you've made Malaysia your home which is great. Came across your blog on a thread in Alloexpat...just wanna say thanks, it's been very helpful and informative! Especially in my case, since I'm a Filipino, currently based in Singapore, now with an offer to move to Malaysia...so needless to say, your advice is precisely what the doctor ordered! I'm probably gonna have to run out to open an HSBC account here in Singapore asap! Well anyway, that's it. Just had to express my thanks, so there it is :) Glad to see you're so happy there! I am happy my simple blog can help out people in some way... Thanks for reading! I heard that it is far from everything so as a wife who will not be working, I don't want to live there. I'll get bored. Any suggestions as to where we can live? Hopefully, where there is an MRT so he can commute to work instead of driving. Also, how much do those condos go for? Thanks a lot and kep on posting. Great blog! happy to hear that i can help out people. It's easy to get around in Kuala Lumpur .. either you get 1 car (and you drive him to work and keep the car for the day), or he drives to work... while you can take the cab. There is a dial-a-cab which is Public Cab. I have used them many times and quite safe and reasonable rates. So for 1 year, me and hubby survived with 1 car. on the 2nd year, we decided to get another one... and of course we also decided to buy a condo! it's a great place. Of course dont expect it to be perfect... I suggest for the condo you should stay in MOnt Kiara or Bangsar area only. There is good expat community. Mont Kiara have good place you can walk to for grocery, restaurants.